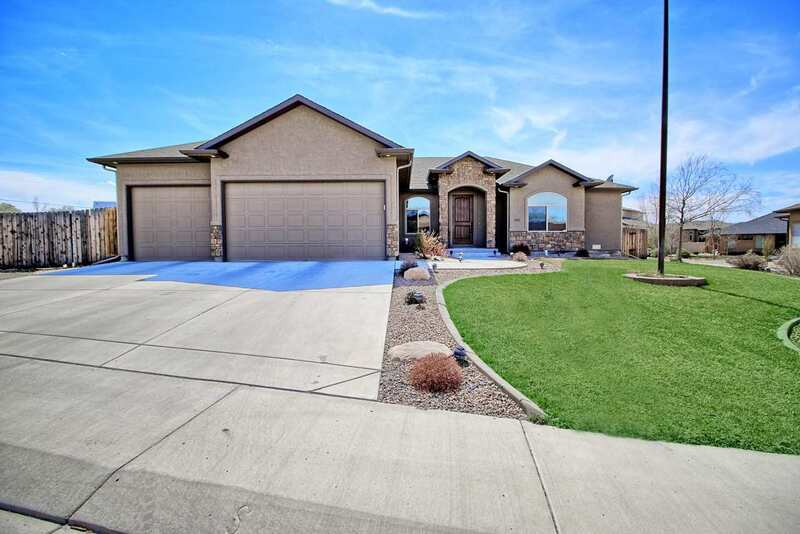 This one owner home is sure to meet all the requirements that you are looking for. Dramatic vaulted ceilings, hardwood flooring, gas log fireplace with exquisite rock work, gorgeous kitchen with under cabinet lighting, beautiful backsplash and ample work spaces and eating areas. With a formal dining room, 4 bedrooms, 3 baths and great storage throughout what more could you want? Master on-suite features a relaxing jetted tub( for spa days) and walk in shower for those hurry up and get gone days! Large rooms offer plenty of space and options for furniture placement. All this situated on .31 of an acre lot, with large RV gate ,parking area and electrical for the RV. Electric hookup for a hot tub is also installed. Covered back patio with natural gas hookup for year round grilling. Full sprinkler system, nicely landscaped and easy to maintain. Located close to the golf course. Go Play!